We made this tool because we found that other tools didn't help us to get consistent translations over the application. The xliff file contains different files, and you basically edit each individual file. In reality you often use the same words all over your application, and you want to use the same translations all over the different files. 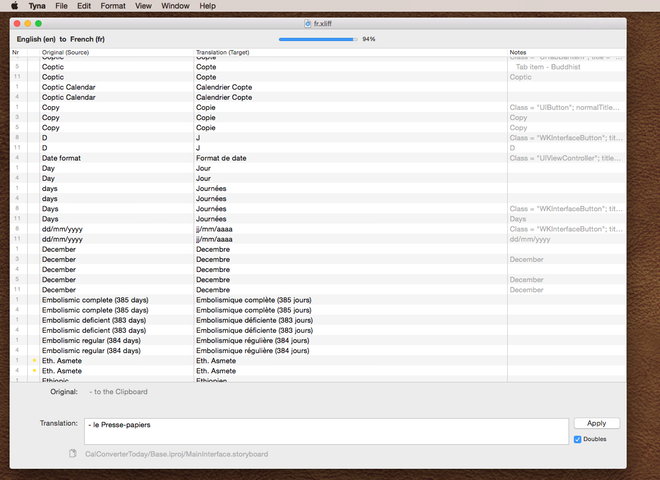 Tyna lists all translations alphabetically (with an indication of the file it belongs to), and you translate all the files at once. With doubles checked, you change all translation with the same text in one go. This makes sure you use the same text in your app, extensions ... etc. and it is much faster. This tool is specifically intended for Xcode. 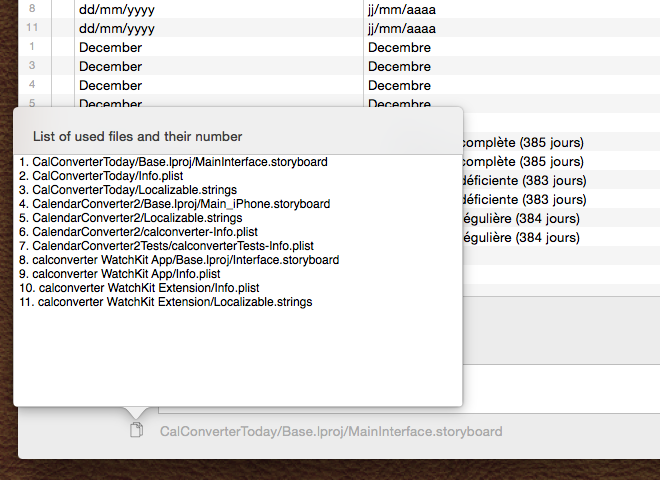 Xcode can export xliff files to provide to translators or the developer can do it themselves.